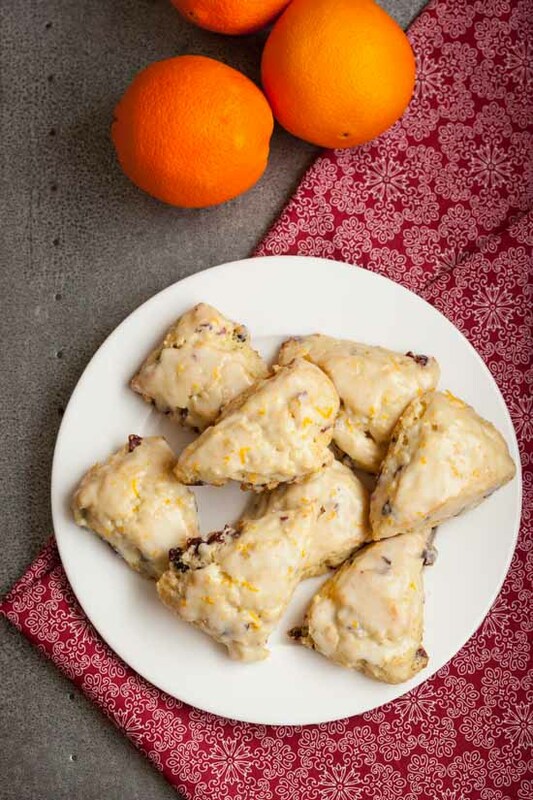 Bursting with cranberries and bright orange flavor, these sweet buttery little scones are my new favorite winter treat. They are easy to put together and perfect to share with friends and family. 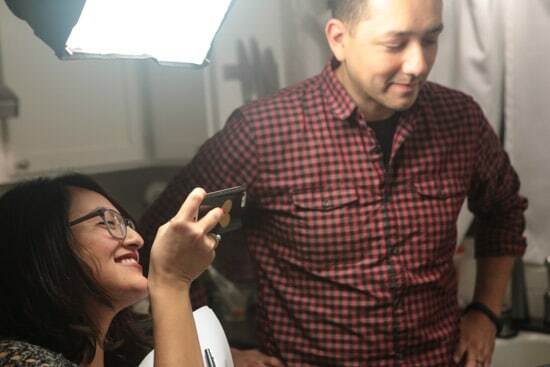 Recently, my friends Alisa and Enrique asked me to collaborate on a little recipe video for FresYes, a local blog that focuses on cool stuff happening around the valley. 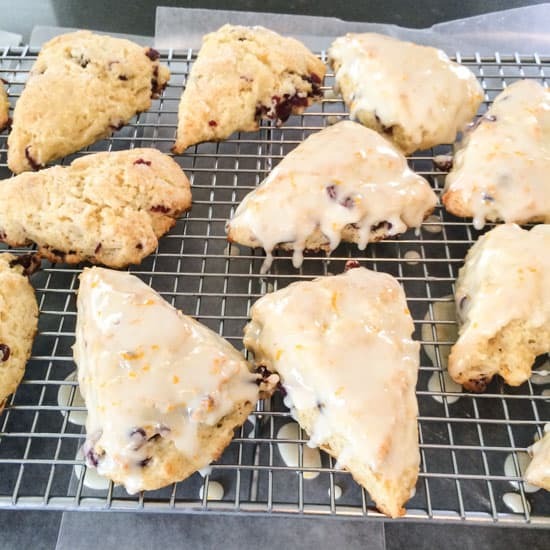 I’m a big fan of Enrique’s video work and have been really been enjoying Alisa’s local food posts, so I created this cranberry orange scone recipe and invited the two of them into my kitchen for a night of take-out pizza and scone making. Despite my huge fear of being on camera, we had a lot of fun and the resulting recipe and cute little video were definitely worth the discomfort. 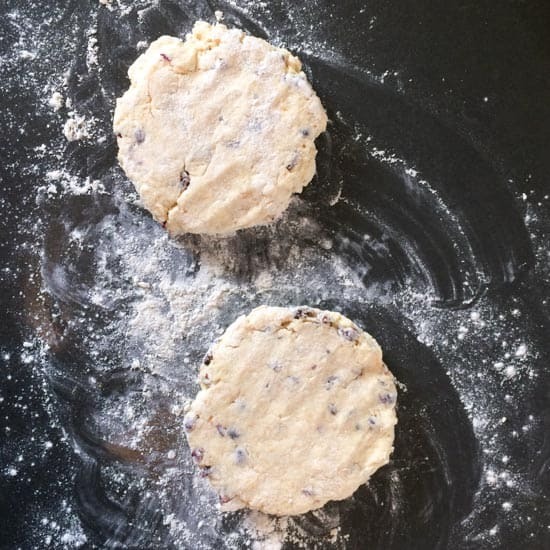 Since it’s December, I decided to make these slightly sweeter than my other scone recipes. 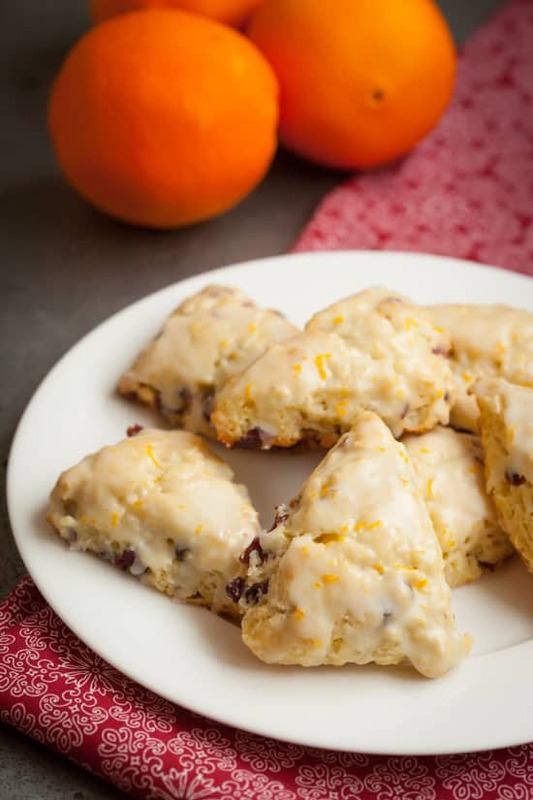 With their beautiful sweet orange glaze, these petite scones can easily take the place of fancy cookies on a gift plate. As you’ll see in the video, these scones really are quick and easy to put together. The photos below show you how to shape them once the dough is mixed. 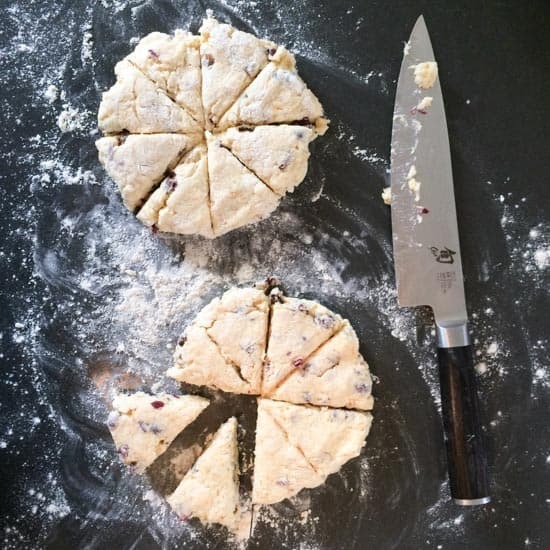 Since these are small scones, the dough needs to be divided into two pieces before being sliced into triangles. 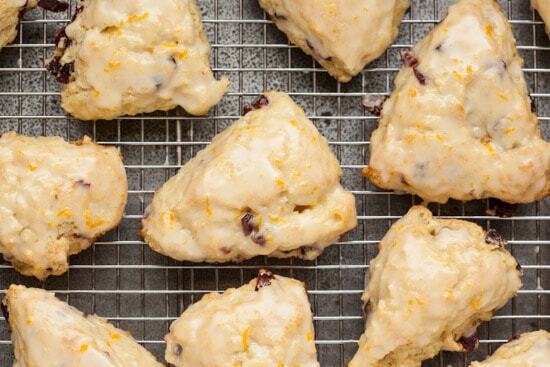 It’s really easy to shape these scones. Just cut them up like pies and they’re ready to bake. 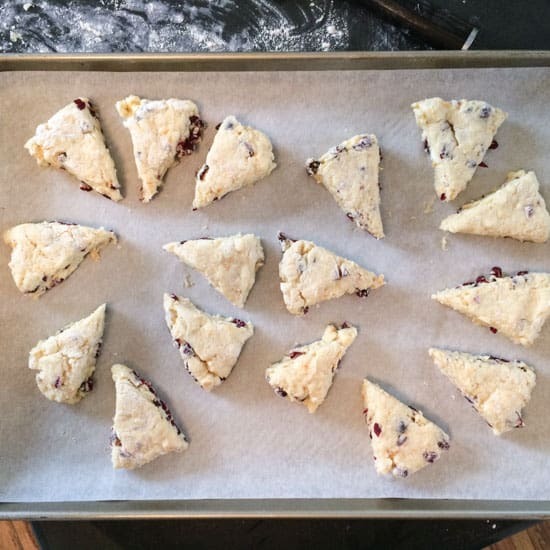 Once transferred to a parchment-lined baking sheet, the scones are ready for the oven. Make sure you preheat the oven before you begin, because this recipe goes pretty fast! My oven bakes these scones perfectly in 12 minutes every time. But it’s always good to check them a little early since every oven is different. Once they have cooled completely, it’s time to mix the glaze and dip the scones right in the glaze. As long as you dip only the tops of the scones, you should have just enough glaze to cover all of them. Make sure you lay some waxed paper or newspaper under the rack before beginning the dipping process. This makes cleanup much easier! 1. Preheat oven to 425 degrees and line a baking sheet with parchment paper. 2. In a large bowl, whisk together the flour, baking powder, salt, and sugar. 3. In a separate small bowl, whisk together egg, half and half, and most of the orange zest (reserve about 1/2 teaspoon for the glaze); set aside. 4. Rub cold butter pieces into the flour mixture with your fingertips (or use a pastry blender) until it resembles coarse crumbs. Stir in the chopped cranberries. 5. Add the egg mixture to the flour mixture all at once and stir until the mixture clumps together. Dump mixture out onto a floured countertop and, with floured hands, gather into a ball and knead once or twice to combine everything. If it’s quite sticky, just sprinkle some extra flour on the counter and on top of the dough to keep it from sticking. Cut dough into two equal pieces and pat each into a circle about 3/4 inch thick. Cut each circle like a pie into 8 slices. Arrange scones on the parchment-lined baking sheet. 7. Bake in a preheated 425 degree oven for 12 minutes or until lightly browned. Remove to a cooling rack and let cool completely before dipping in the glaze. Put some waxed paper or newspaper underneath the cooling rack to catch dripping glaze. In a small bowl that is wide enough to dip a scone, combine 1 cup sifted powdered sugar with 2 tablespoons orange juice and the reserved orange zest. Whisk until smooth. Dip tops of the scones in the glaze and place them (glaze side up) on the cooling rack. 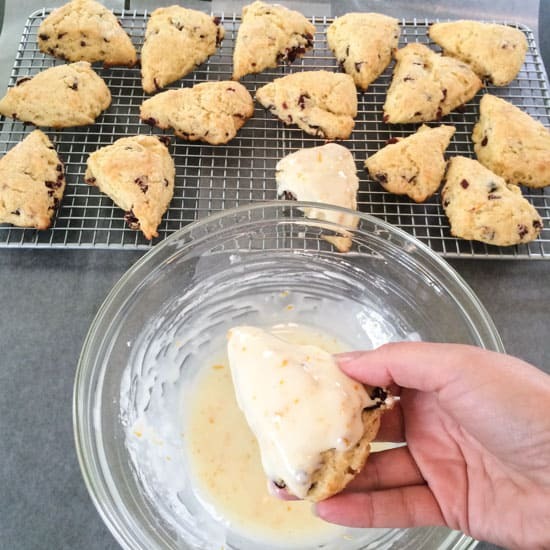 Once glaze is dry, scones can be stored in a container or covered in plastic wrap. They are best eaten the day they are made, but will stay somewhat fresh for a day or two if carefully wrapped. 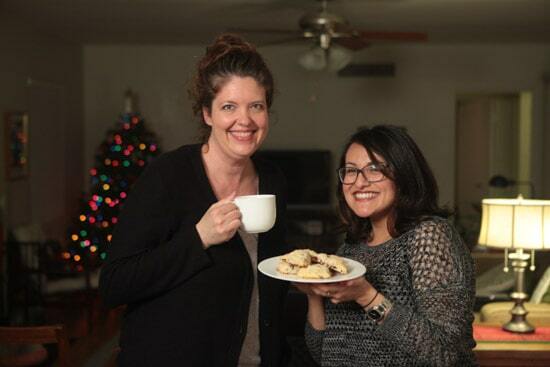 Big thanks to Enrique at Meza Films and Alisa from FresYes for coming to hang out in my kitchen for a delicious night of scone making. Here are a few behind-the-scenes photos from the video shoot taken by my husband Phil. « The Sugar Snap Peas are Back! Love the video and plan to make tje scones for breakfast. Bought all the ingredients before Christmas but ran out of time. 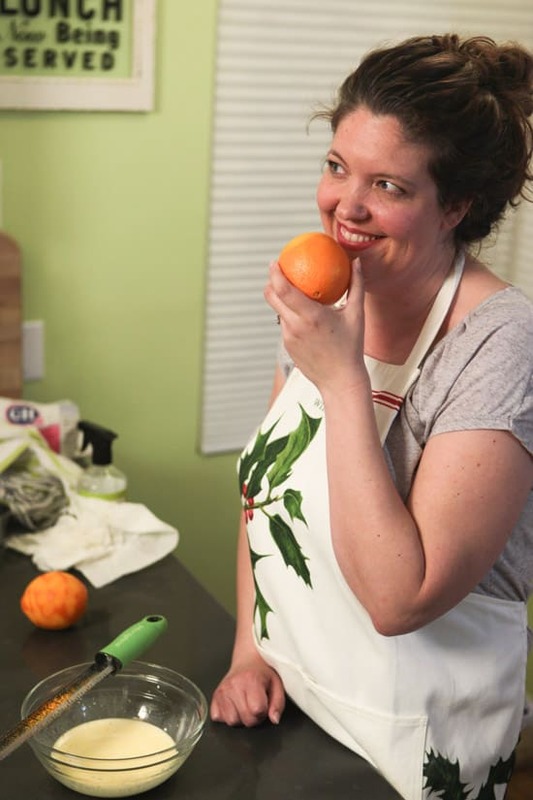 Nicole I've missed your blogging so thank You for the video it's wonderful, luv the apron too! 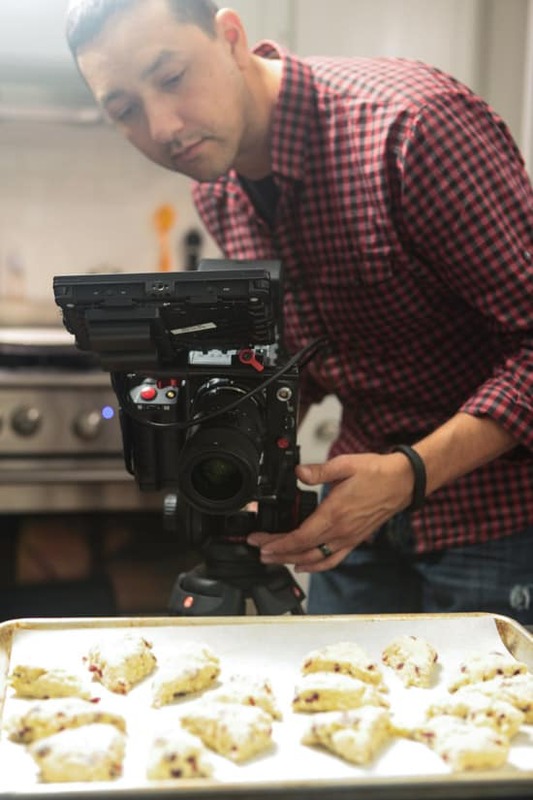 The photos are terrific and the scones look delicious. 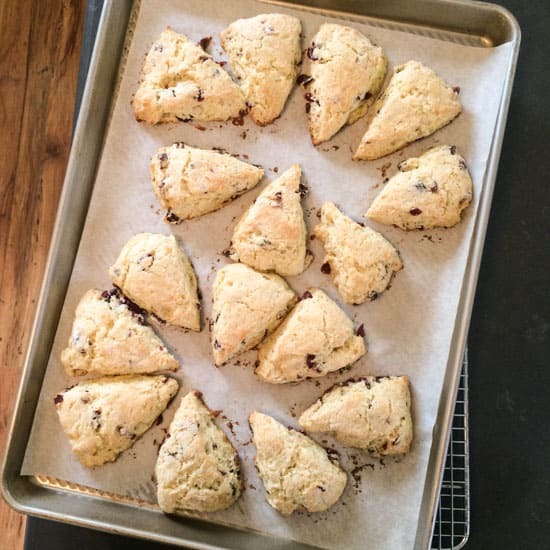 I want to brew a cup of coffee and make these scones. Beautiful and inspiring blog. Love The glaze! Definitely going to try these! It's my first time posting a comment but I just wanted to say "Welcome back to the blogging world"!! You were my first food blog that I followed and was sad when you stopped posting this year. Glad you are back! It's so good to have you back. I've missed your posts very much. These scones are amazing! I have been baking scones for a very long time and these are wonderful. 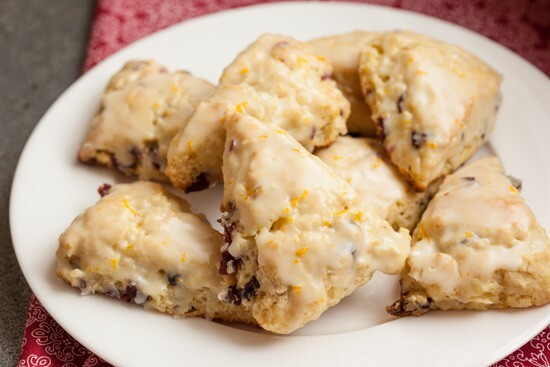 I took them to a meeting at church and could hear everyone saying "who made the cranberry-orange scones." I loved it! These scones look delicious! Blogs are quite effective to share information such as recipes like this. I look forward to making these and others from your page. Thank you for sharing. My scones turned out perfect! They were delilecious, time to make some more. I was looking for such recipe. Glad to came here. Thanks for sharing this yummy recipe. Keep it up!! These look amazing! Will make them this weekend. I have a question though. What is "half and half" that is in the ingredient list? At first I thought it was an error but after watching the video, it looks like milk or cream. Hi Kate, In the US, half and half is like half milk and half cream. You can substitute a light cream or even just whole milk and the recipe will work. Enjoy! I want some of these for my snack today! These scones were so good! My husband had been requesting scones for a while so I finally made them. We absolutely loved them! I need these like now!! Can you make these with lemon instead of orange? I love both so was thinking if possible of doing orange for one batch and lemon for the other. Yes, they could definitely be made with lemon! I hope you enjoy them! These are quick, easy and absolutely wonderful! Thanks for sharing. Hello -- will these stay fresh longer if I skip the glaze? I'm hoping to make them for a bridal shower and would like to make them ahead.